LORD ITILL PRODUCTIONS (BRONX RECORDING STUDIO) | IF IT DON'T MAKE DOLLARS! IT DON'T MAKE SENSE! 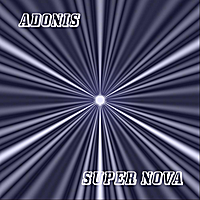 | Buy Music : ADONIS "SUPER NOVA"
Super Nova is one of my constantly EVOLVING projects. Its origin came from a poem that I wrote about the evolution of stars before their gases emote into a firey blazing sun. It's sexually metaphorical enuendos describe the feeling of andorphins being released through your blood stream when 2 people fall in love for the first time. It was written into a song for a brilliantly vocal Ukrainian artist who discovered me on the train, Anasstasiia. First, recorded with producer Dianisio of DT productions and has since been re mixed by producer, LORD ITILL; both 2 creative producers from the BRONX. It has been performed by Anastasiia, also re-recorded featuring dominican rap artist Mr. Principe, and is encouraged to be re- mixed into various musical styles. My lyrics are copy written and published but are open to musical interpretation for promotional use only!.. Record your version of my intergalactic classic and e-mail it to me, POLYSTYLEZ@YAHOO.COM and I will publish it on my web site.